Forza Horizon 4 is the latest entry in the video game driving franchise, but if you're still playing last year's Forza Motorsport 7, then there is a free collection of cars coming soon. The Hot Wheels Anniversary Pack arrives on November 6 and includes seven drivable versions of the classic toy vehicles. The Hot Wheels cars span the history of these automotive toys. The oldest of the bunch is the 1963 Volkswagen Beetle, and the promo video for the new vehicles suggests it's quite a demon in the quarter mile. The 1969 Chevrolet Camaro SS wears gold point like the original Hot Wheels toy. The 1969 Twin Mill is one of the more fanciful creations by packing a pair of supercharged V8 engines sitting next to each other. A 1970 Chevrolet Corvette ZR-1 wears a patriotic paint scheme a blue body, red stripes. and white stars. A 2005 Ford Mustang features a big front splitter, rear diffuser, and wing. The 2011 Bone Shaker is an interesting spin on a classic hot rod, but it has a massive skull on the front. Finally, the 2017 Rip Rod blends the aesthetic of a hot rod and dune buggy into a creation that should excel on any surface. 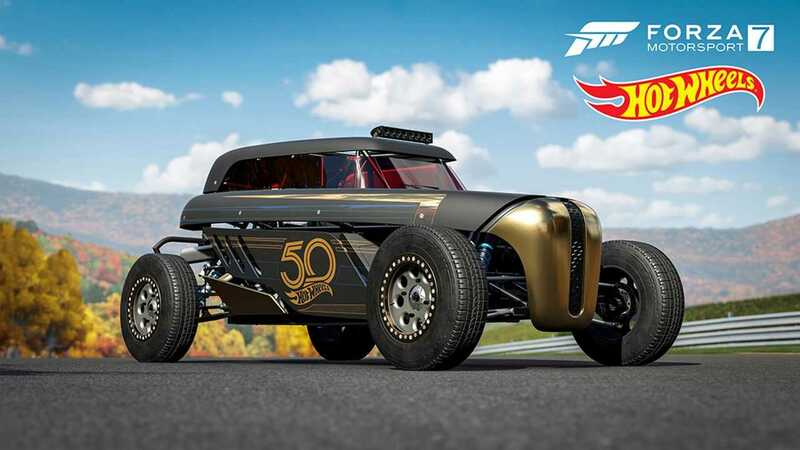 The Bone Shaker, Rip Rod, Mustang, and Twin Mill will also slowly join the fleet of vehicles available in Forza Horizon 4 over the next few weeks. Players will be able to unlock them during the Season Event challenges in the game. The download pack also includes five Hot-Wheels-inspired driving suits. Players have to earn the clothing through in-game challenges, but the black 50th Anniversary Driver Gear suit is a gift to all players.